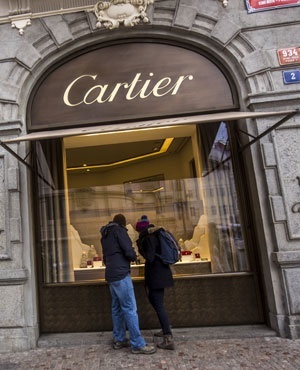 Swiss luxury goods group, Richemont [JSE:CFR] announced that its chief technology officer resigned, this comes after a management overhaul instituted by the company more than a year ago. In a note to shareholders on Thursday, Richemont, founded by SA businessman Johann Rupert, said Dr Jean-Jacques Van Oosten stepped down for “personal reasons”. “Dr Jean-Jacques Van Oosten has relinquished his responsibilities as Chief Technology Officer for personal reasons and has stepped down from the Senior Executive Committee with effect from 2 May 2018,” the notice read. Richemont introduced changes to its executive model in November 2016, Bloomberg reported. The group did away with its companywide CEO position and instituted a senior executive committee to run Richemont. In July 2017 the group’s head of watchmaking Georges Kern resigned. Kern bought a stake in rival watchmaker Breitling, Bloomberg reported. The share price opened at R120.96, and traded down 0.49% at R120.39 by 09:09.